Having just returned from a week long family holiday in the beautiful South of France I thought a quick post sharing some of the things we did might be in order. Most of the time was spent relaxing and eating cheese but we did manage to get out and about for some sightseeing. 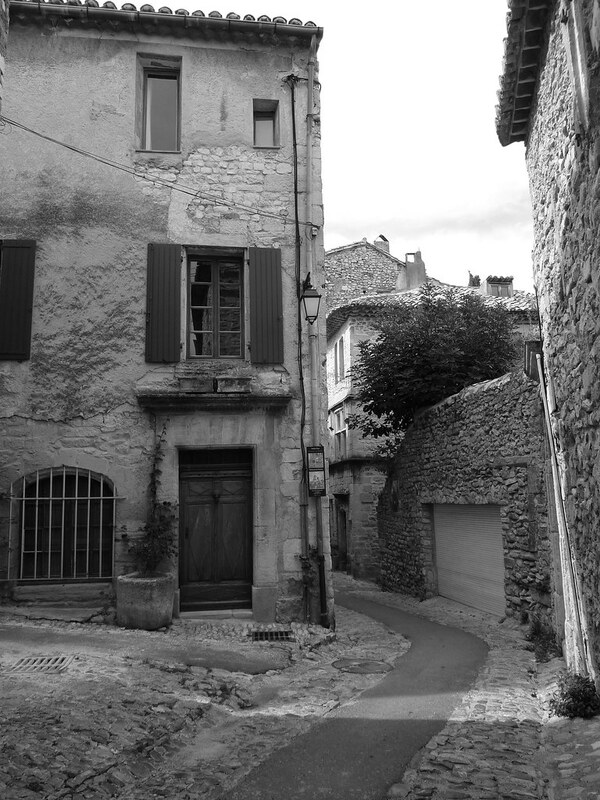 Vaison la Romaine – This town has 2 areas of Roman remains but in my opinion, the well preserved Medieval part of the town sitting on the hill below the castle really takes you back to another time and makes for a enchanting place to explore. 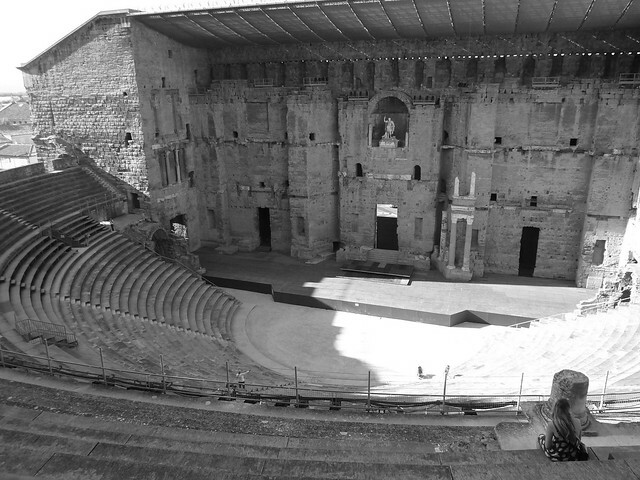 Théâtre antique d’Orange – The best preserved Roman Theatre in the world has a fascinating history and really is worth the trip, not to mention a wander around the lovely town of Orange. 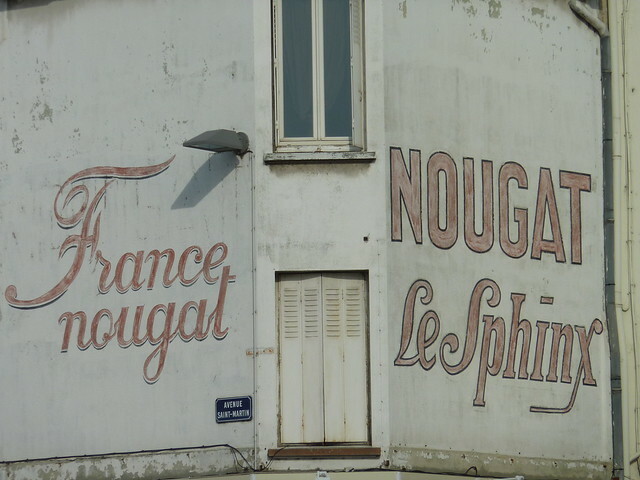 Montellimar Nougat – The home of Nougat, get there early to see the Nougat being made in one of the many shops and factories that produce it. 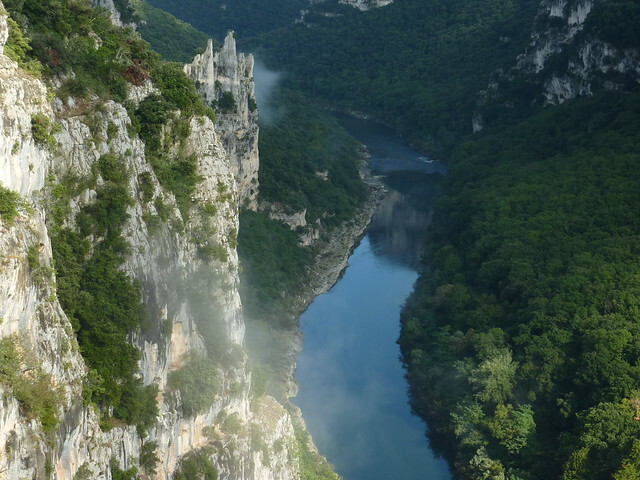 d’Ardeche Gorge – Take the winding tourist road to the Pont d’Arc for incredible views of the very beautiful Ardeche River and Gorge, if you’ve time get down to the river or a swim. 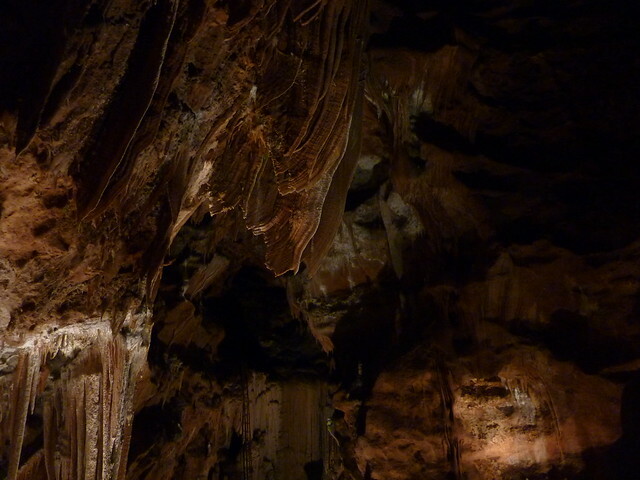 Caves – There’s caves a plenty in the South of France, 2 to choose from on the tourist road along the Ardeche Gorge, both offering incredible other worldly formations. 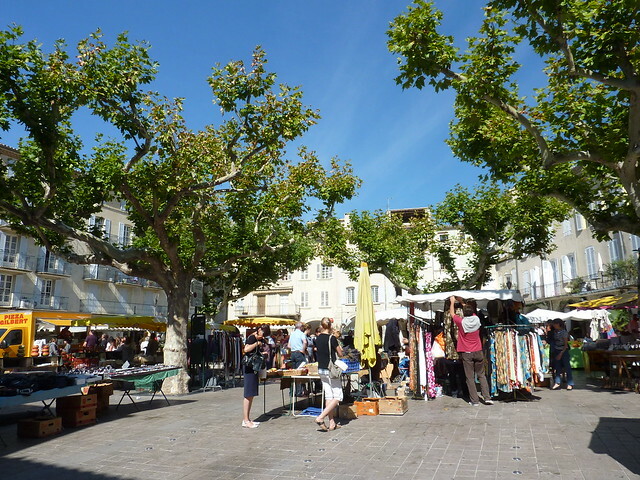 Markets – There’s markets everywhere in France, varying in size, selling huge amounts of fresh produce. Both Markets in Orange and Nyons took over most of the town centre for the morning, get they early though as they usually pack up at 12.30. I am planning a visit to Provence this year. Having only been as far as Paris I am looking forward to experiencing the South of France. It is interesting to hear other peoples views on places they have visited – I must try to visit Orange on my travels. I am not sure how the weather varies – what time of year did you go and how was the weather please? We went in mid September, it was pretty warm in the day but got too cold in the evenings to sit out. I think slightly earlier in the year would be more ideal weather wise. I have gone through your all pics and post, my plan is coming to visit these place, I like much these snaps, Thanks for sharing to us.